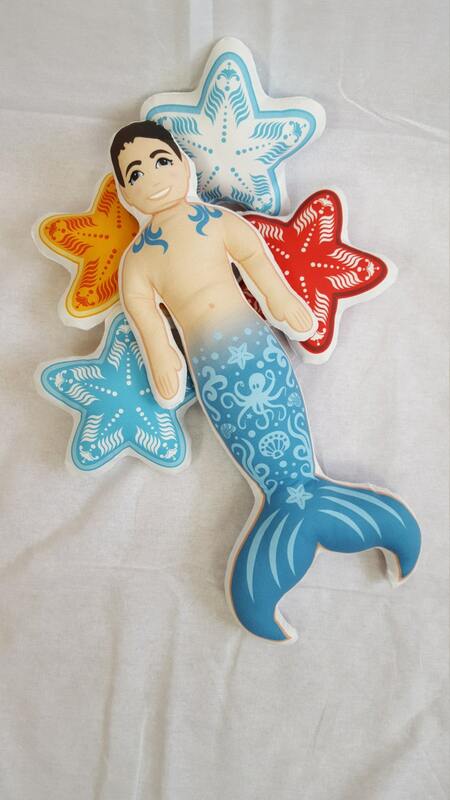 Our new collection of Mythland Island characters begins with this little Merboy. Cute and kid size. 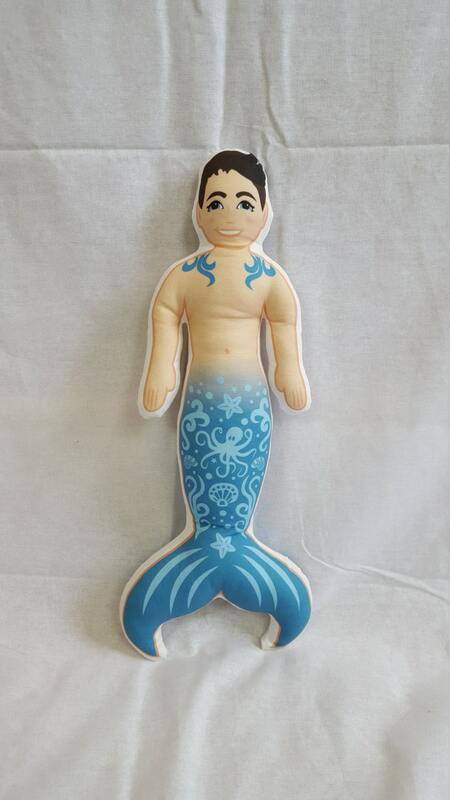 He is Caucasian with blue eyes, brown hair and blue tail. He measures approximately 13" x 6". 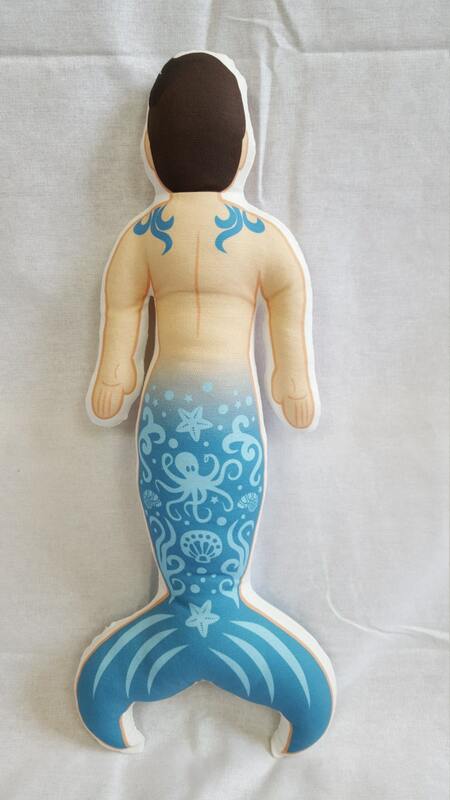 He is printed to cotton/linen fabric and stuffed with polyfil. Each one is handmade with love by me. If you have any questions please feel free to message me.